New and unique vendors will enliven and expand the Holiday Craft Fair on Saturday, Dec. 3 at Medford Leas. This is the 10th annual edition of the juried craft sale, which is renowned for its one of a kind, handcrafted items. The sale begins at 9 a.m. and will run to 4 p.m. in Medford Leas Arts and Social Wing located at One Medford Leas Way on Route 70. Admission and parking are free and all are welcome. An auction of 25 carefully selected objects will accompany the Craft Fair. They range from a bejeweled Burmese wall hanging to a hand-turned walnut bowl. Included are a hand-knitted patchwork sweater, antique duck decoy, vintage Irish crystal pitcher and folding teacart with removable trays. Medford Leas residents donated all these items and more. Of special note this year will be a pair of adult coloring books featuring line art drawings by members of the Medford Leas arts studio. Entitled “Fine Art and Natural World,” the coloring books offer a diversity of opportunities for colorists to personalize their pictures. The drawings can be easily removed from their protective binders for coloring or for framing and hanging once completed. Maggie Heineman, the Craft Fair’s chairwoman, says about this year’s event, “We have expanded to a third room since we will offer over 30 craft tables this year. We are delighted to showcase so many fine crafts-makers and welcome 1,000 visitors to our community.” In addition, the ever popular wreathe and greens section will be relocated to the ground floor next to the elevator. This will make it easier for shoppers to carry their armfuls of evergreens to their cars through the nearby doors to the parking lot. 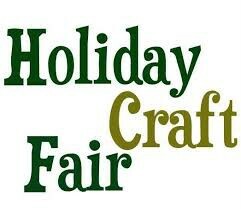 The annual Holiday Craft Fair and Auction will benefit the Medford Leas resident’s assistance fund.